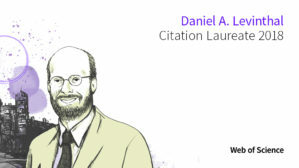 PHILADELPHIA, September 20, 2018 — Clarivate Analytics, the global leader in providing trusted insights and analytics to enable researchers to accelerate discovery, today named 17 world-class researchers as Citation Laureates – researchers whose work is deemed to be, ‘of Nobel stature’, as attested by markedly high citation tallies recorded in the Web of Science citation index. Clarivate Analytics is the global leader in providing trusted insights and analytics to accelerate the pace of innovation. Building on a heritage going back more than a century and a half, they have built some of the most trusted brands across the innovation lifecycle, including Web of Science, Cortellis, Derwent, CompuMark, MarkMonitor and Techstreet. Today, Clarivate Analytics is a new and independent company on a bold entrepreneurial mission to help clients radically reduce the time from new ideas to life-changing innovations. For more information, please visit clarivate.com. Founded in 1881 as the first collegiate business school, the Wharton School of the University of Pennsylvania is recognized globally for intellectual leadership and ongoing innovation across every major discipline of business education. With a broad global community and one of the most published business school faculties, Wharton creates economic and social value around the world. The School has 5,000 undergraduate, MBA, executive MBA, and doctoral students; more than 9,000 participants in executive education programs annually and a powerful alumni network of 98,000 graduates.